The Young Creative Council is launching a database of female creative talent to celebrate International Women's Day. The site, Badass.Gal, will launch today (8 March) with 365 creative women who are either already doing brilliant creative work, or are trying to break into the industry. The project will not just be focused on the advertising industry but is also designed to showcase young talent from any creative background. 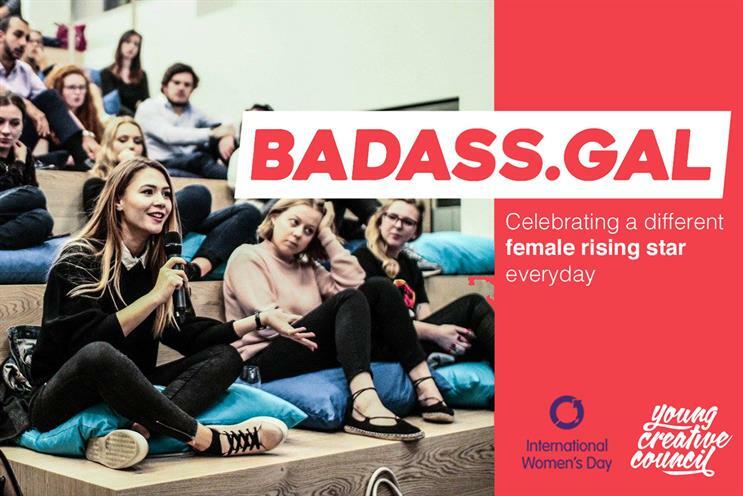 Danny Pallett, a creative at DigitasLBi and a member of the Young Creative Council, said: "This year for International Women's Day, we're not just celebrating for one day, but for the next 365. Every day we're going to be sharing a different young, badass female creative who is already owning it on our site Badass.Gal. "In a world where only 29% of the creative department are female, and only 12% of creative directors are female (in London alone), it's this generation of talent which will help bring up those numbers, and we don't doubt that they will." The Young Creative Council is also calling on men and women from across the creative industries to nominate creative women who are doing amazing work via the website. The site will celebrate a different female rising star every day for the next 365 days.